This quick disconnect fitting makes it easy to attach and detach the natural gas line to your gas grill or other gas appliance. It is easy to install and can be used with the appropriate natural gas supply line to extend the reach for your natural gas grill. It is made of durable construction for reliable service. Make sure to test all gas lines before their initial use to be use that no parts are leaking. WARNING: Cancer and Reproductive Harm. For more information go to www.P65Warnings.ca.gov. What is the pipe thread size for a BBQ NG Quick disconnect for 1/2" FPT. 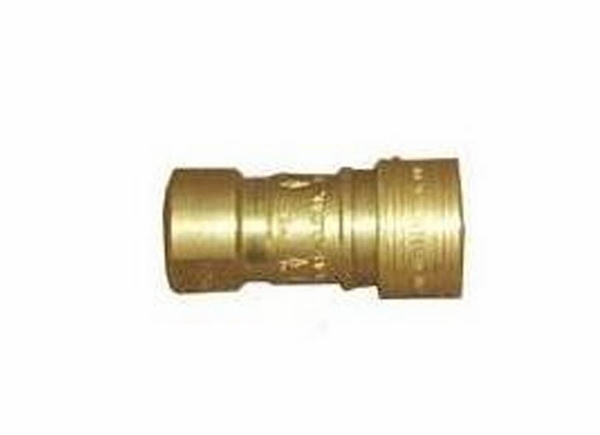 The manufacturer has informed us that it has 1/2" pipe thread.